PlayerUnknown's Battleground Mobile Season 6 is slated to start from March 21, 2019. PUBG Mobile season 5 is going to end on March 18, 2019, and after 3 days Season 6 will start. The new season of the game is going to bring the new vehicle, G36C rifle, dynamic weather in Erangel and Miramar likewise, there are other new features and changes which will take place in the coming update/arrival of new season. Finally, Erangel and Miramar are getting the dynamic weather system. Snow Map Vikendi receives the new G36C rifle weapon replacing the old ScarL rifle. Both the rifles use 5.56 ammo which can be found easily in the map. The Tuktuk, also known as the Tukshai has finally been added in Sanhok map of PUBG Mobile, replacing other vehicles like Dacia, bus and the 4 seater jeep. Zombies in PUBG mobile zombie event mode have been nerfed as they will now enter a weakened state from time to time during the match. Bugs were zombies couldn't enter a given area were fixed in PUBG update 0.11.5. Zombies got nerfed while the zone damage got buffed as damage outside of safe zone at night has been increased. Some resource drops, Vehicle fuel levels, zombie skills have been altered and tuned for better gameplay experience. Quick chat message "I got supplies" is now pre-selected. Bugs while previewing outfits have been fixed. New feedback button added in the main menu. YouTuber Mr.Ghost Gaming frequently shares PUBG mobile videos regarding leaked information or detailed overview of upcoming seasons and updates. 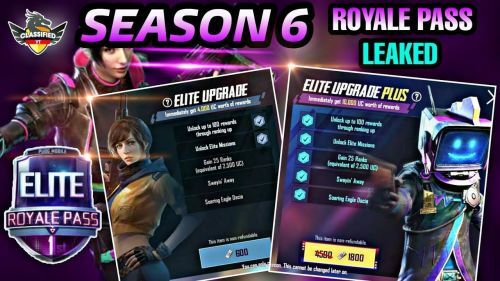 Recently he uploaded 2 videos sharing information on the upcoming changes which will take place in the PUBG Mobile starting season 6.